I enjoyed painting this one. The pear was rather yummy too. I have only seen these pears in Woolworths - neither Coles or the fruit shop seem to have them. They are so bright and colourful and that is what caught my eye when buying other vegetables in Woolworths. 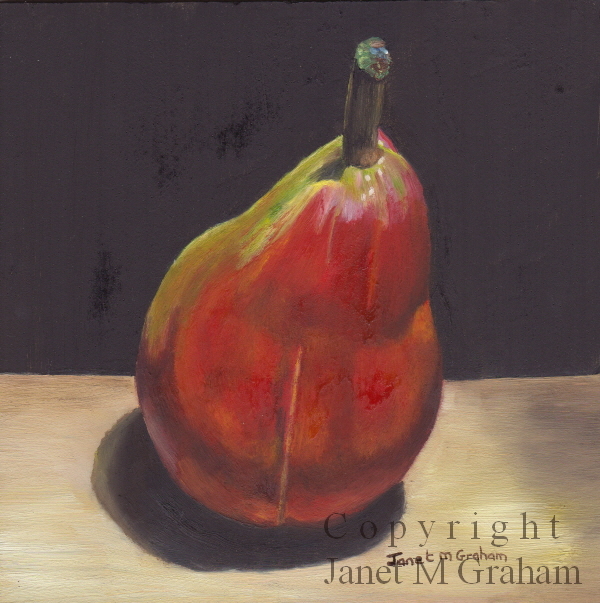 Sensation Pear measures 6 x 6 inches and is painted on Ampersand Gessobord. 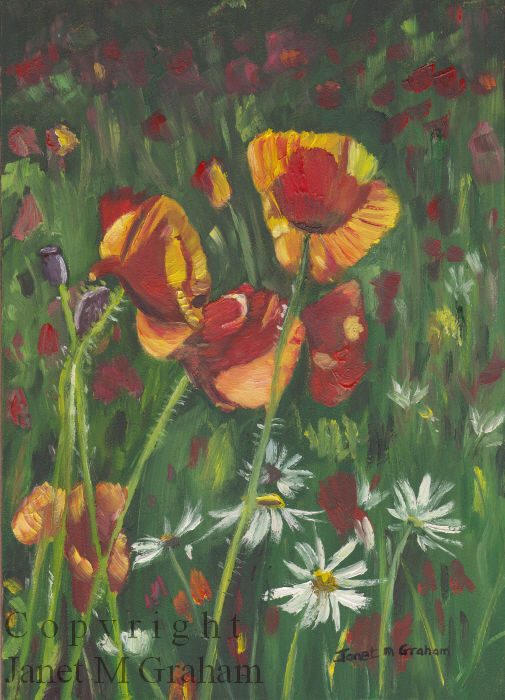 I felt like painting some flowers for a change so I painted these poppies. Love their bright colours. We have been having weird weather again. Been pouring with rain here for the last two days. Fortunately I don't live by any streams or rivers but other areas of South East Queensland are being affect by floodings again. Hopefully this will be last heavy rains we have for a while. 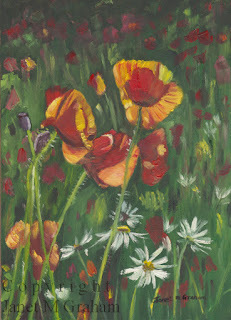 Poppies measures 5 x 7 inches and is painted on Ampersand Gessobord. I had fun painting this one. Could imagine myself on holiday there. Nice and peaceful and sunny. We have been having a strange summer. February is usually our hottest month but so far it has been much cooler than normal. Raining here at the moment and the weather prediction is for more rain for the rest of the week. At least everything is nice and green. 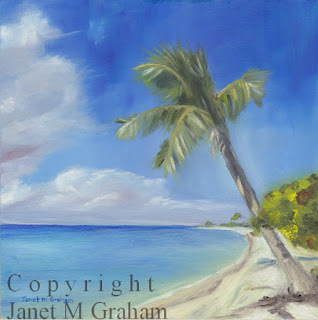 Tropical Island is 6 x 6 inches and is painting on Ampersand Gessobord. Many thanks to Andrea Muller for the reference photo. 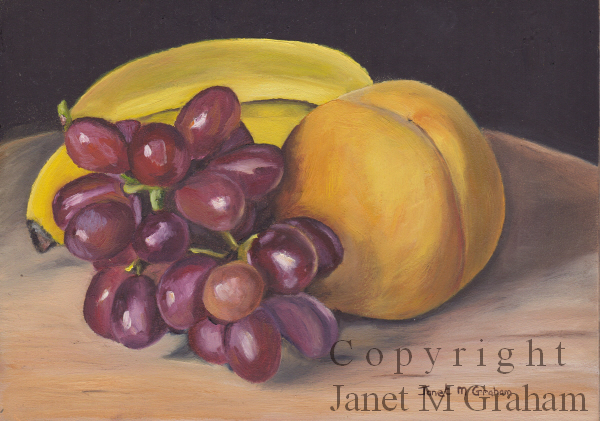 Fruit Platter is painted on Ampersand gessobord and measures 7 x 5 inches.